For several reasons, time with my 8th graders in the fourth quarter is scarce. I always wonder how I will fit it all in! Projects tend to be time consuming. Sometimes I am forced to omit a valuable project. 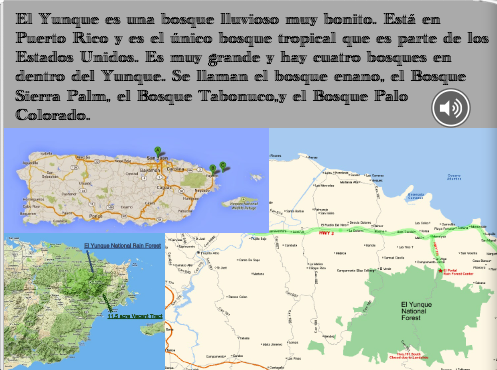 In this case I used a time-saving App called Book Creator so that students didn't have to miss out on a chance to demonstrate their progress in pronunciation and to learn about Puerto Rico's rainforest. With Earth Day approaching I also felt it was the perfect opportunity for cross-curricular learning. Book Creator made this project quick, easy, and fun. Creating an e-Book allows students to express themselves creatively and quickly in the actual design of the book. They can make choices about what to write and narrate in Spanish. I like the fact that Book Creator allows them the opportunity to record their own voice speaking Spanish. Using only their iPad, they accomplished this in two class periods. Assessment is an important aspect of project based learning. My eighth graders strive all year to speak with an authentic Spanish accent and pronounce unfamiliar words correctly. This app made assessment easy. By listening to one or two short passages, I am able to pinpoint problem sounds and make recommendations for each student. Submitting work can be a challenge when doing digital projects. I developed a simple digital work flow where my students share their e-Book with me in Google Drive. I download the book and open it in iBooks to listen and assess. iBooks allows me to file and organize student projects by class sections. 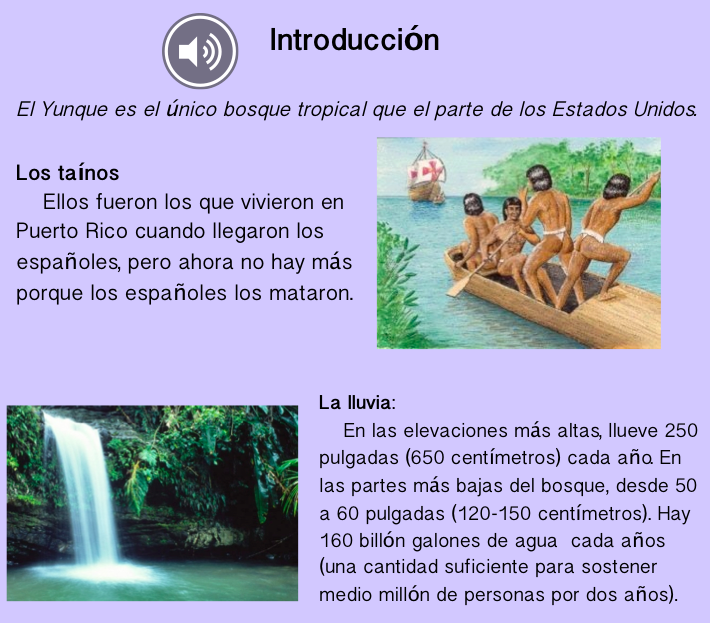 Although reading and writing in Spanish about the rain forest were desired outcomes for this project, my main objective was to assess their pronunciation and reading abilities. Book Creator was a perfect choice to achieve this goal. Great project, Deb! It seems perfect for foreign language classes!